Information, resources and links on facilitating and supporting community and youth local foods programs. Materials range from youth empowered projects, leader guides for engaging youth and community members with farm to school and community gardens, and other community-based local food tools and program examples. Community Gardens: A community garden is ”any piece of land gardened by a group of people.” (North Carolina Community Garden Partners). 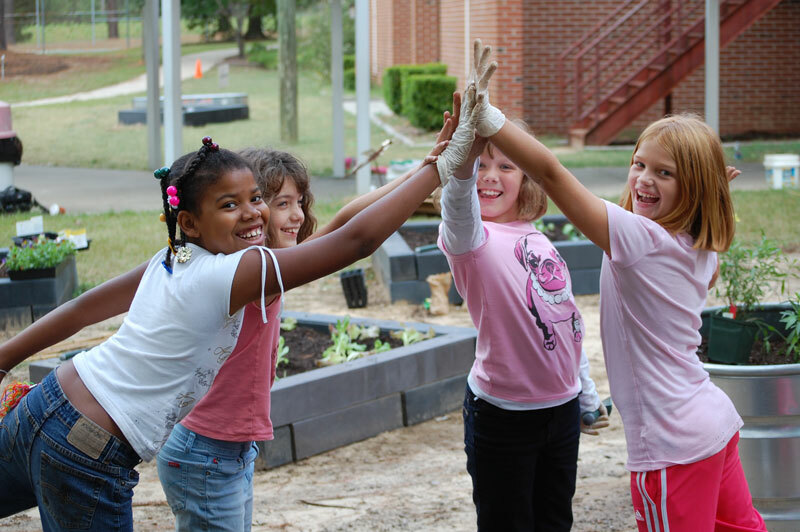 Dig into the organizations and programs that support community gardens throughout North Carolina. Farm to School: Farm to School is a movement that strives to build a youth’s connection to healthy, local food through school gardening, farm field trips, hands-on cooking and nutrition and local sourcing of fresh fruits and vegetables to school cafeterias. Farm to Preschool: Farm to Preschool is a movement working to build pre-K children’s connection to healthy, local food through similar means as Farm to School in child care settings. 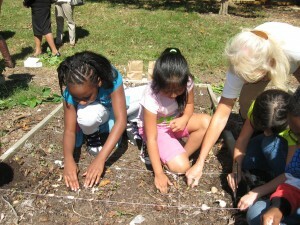 School Gardens: Schools provide a formal context to engage youth into growing food through classroom curriculum. Youth Food System Leadership: Youth have the capacity be vocal, powerful community leaders that provide access to local, healthy food. NC A&T State University – Discover Ag Program teaches young people about each aspect of agriculture and how it impacts their daily life. Discover Ag provides school field trips to the University farm in Greensboro as well as at Cherry Farm with CEFS in Goldsboro. North Carolina Cooperative Extension’s 4-H Youth Development Program: NC 4-H has been linking youth to fruits, vegetables, meat and dairy animals and other agricultural systems for over 100 years. NC 4-H Youth Livestock Program provides opportunities for youth to learn about livestock animals, including goat, sheep, beef and swine. NC 4-H Dairy Program offers learning experiences with Dairy Cattle. NC 4-H Poultry Program has numerous opportunities and materials to support youth poultry programs. Students Working for an Agricultural Revolutionary Movement (SWARM) is a youth food activism group supported by CEFS that teaches youth leadership, food justice and campaigns to improve food access in Wayne County. The youth component of EFNEP for school aged youth 5-19. Check out the website for program sites and information as well as tips and recipes. A group of school gardeners celebrating their gardening success!